Website hacking is on the rise with hackers simultaneously coming up with new and refined hacking techniques. Website hacking is mostly executed by criminals who aim at distributing illegal content without leaving any trace. For instance, it is possible for a hacker to attack an innocent person’s website and then use it to distribute illegal content. When the authorities trace the illicit material, the culprit is untraceable, and the website’s innocent owner could actually be faced with serious legal implications, besides going through a major loss in business and damage to his/her reputation. This article will explain how to hack a website using some of the key website hacking techniques. It is globally understood that hacking is not promoted except for ethical hacking, which is an act of intruding into networks or system to detect threats and vulnerabilities in those systems which a malicious attacker may detect and exploit causing financial loss, loss of data or other major damages. You will need to have a thorough understanding of each of these website hacking techniques and then decide on employing good proactive measures to protect your website from these hacking attacks. Hackers are capable of getting into any website and leaving in its database malware or inserting code into the website’s files. There is an extensive range of viruses, and each of these could impact the infected site in a variety of ways. This attack is purely based on mouse click events. End users are given a webpage that appears to be legit and they then get tricked into clicking something in the UI. However, an explicitly crafted page gets loaded behind the legitimately looking page. The end users feel like the component in the UI is being clicked but, unfortunately, the click is executed on the invisible component in the hidden page and the action mapped for that button click will be carried out. Phishing is a social engineering attack mostly used to steal user data like credit card numbers also including login credentials. This attack happens when an attacker, disguised as a trusted entity, fools a victim into opening an instant message, text message or email. The recipient gets tricked into clicking a malicious link, which could result in installing malware, revealing sensitive information or freezing the system as part of a ransomware attack. Hackers use malicious software to steal your browser’s cookies containing important information like browsing history, passwords and usernames. This data can also contain passwords and logins to your website’s administrator’s panel. By imitating a person’s cookie over the same network, a hacker will be able to access websites and carry out malicious actions. Hacking software has made it simpler and easier for hackers to execute these attacks by monitoring the packets going back and forth. Distributed denial-of-service (DDoS) attacks are malicious attempts to disrupt normal traffic of a targeted server, network or service by overwhelming the target or its surrounding infrastructure with a flood of Internet traffic. These attacks will require an attacker to gain control of a network of online machines in order to execute an attack. Computers and machines like IoT devices are infected with malware, turning each one into a bot. The attacker will then have remote control over the group of bots, which is called a botnet. After a botnet gets established, the attacker directs the machines by sending updated instructions to each bot through a remote-control method. When the botnet targets a victim’s IP address, each bot will respond by sending requests to the target, possibly causing the targeted network or server to overflow capacity, resulting in a denial-of-service to normal traffic. Keyloggers are a serious threat to users and their data, as they track the keystrokes to capture passwords and other sensitive data typed in through the keyboard. 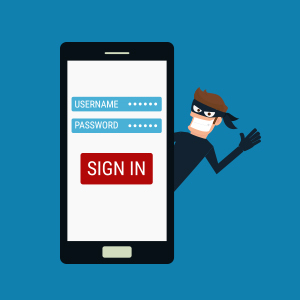 Hackers thus get the benefit of access to PIN codes and account numbers, email ids, email logins, passwords to online shopping sites, and other confidential details. This website hacking technique takes advantage of the design flaws in poorly designed web applications to exploit SQL statements in order to execute malicious SQL code. The kinds of attacks that can be executed using SQL injection differ based on the type of database engine. The attack works on dynamic SQL statements. A dynamic statement refers to a statement that is generated at run time employing parameters password from a web form or URI query string. Comodo cWatch Web is a Managed Security Service perfect for websites and web applications that incorporate a Web Application Firewall (WAF) provisioned over a Secure Content Delivery Network (CDN). It is a fully managed solution delivered by a 24x7x365 staffed Cyber Security Operation Center (CSOC) of certified security analysts. This web security tool is powered by a Security Information and Event Management (SIEM) capable of leveraging data from more than 85 million endpoints to detect and mitigate threats even before they occur. This service also covers malware detection scanning, preventive methods and removal services that allow organizations to adopt a proactive approach that will help protect their business and brand reputation from infections and attacks. Vulnerability scanning provides online merchants, businesses, and other service providers handling credit cards online with a simple and automated way to stay compliant with the Payment Card Industry Data Security Standard (PCI DSS). Operates at all web servers, acting as a customer inspection point to detect and filter out content like embedded malicious website code. With the help of the website malware removal feature, website hack repair provides a detailed report on areas you need to deal with.